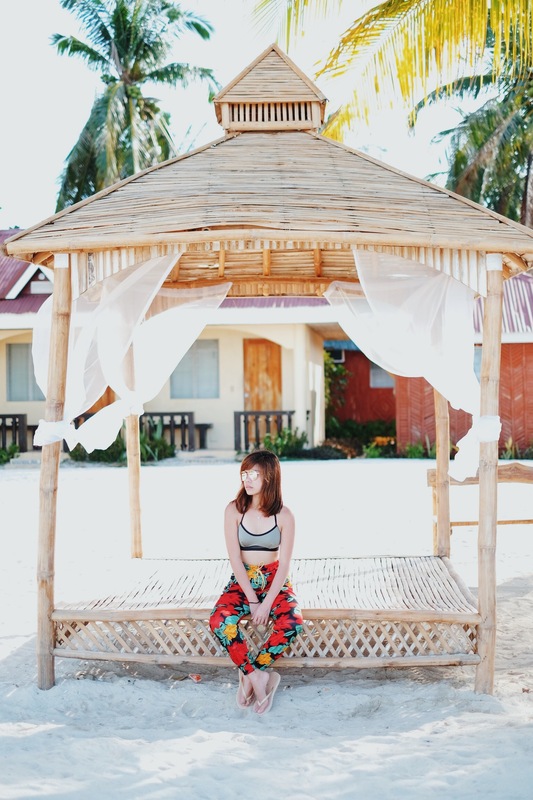 The first time I ever set my eyes on the perfect imagery of Bantayan Island, I could not ask for more. 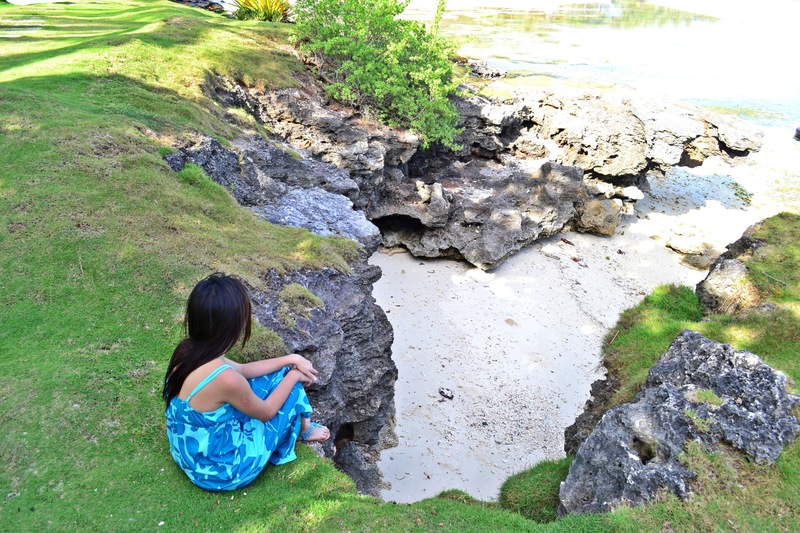 It is the perfect epitome of my dream beach and I keep on going back here everytime I get the chance. 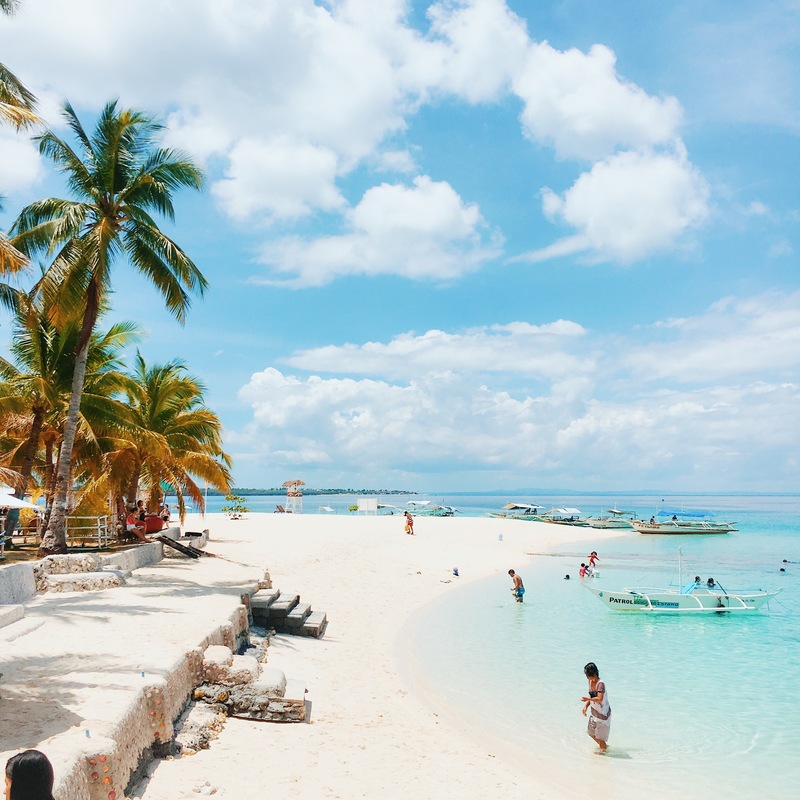 With its fine and powdery white sand likened to White Beach in Boracay, and its crystal clear and unpolluted blue waters, there is no denying that Cebu is very blessed to have one of the most beautiful beaches in the country. 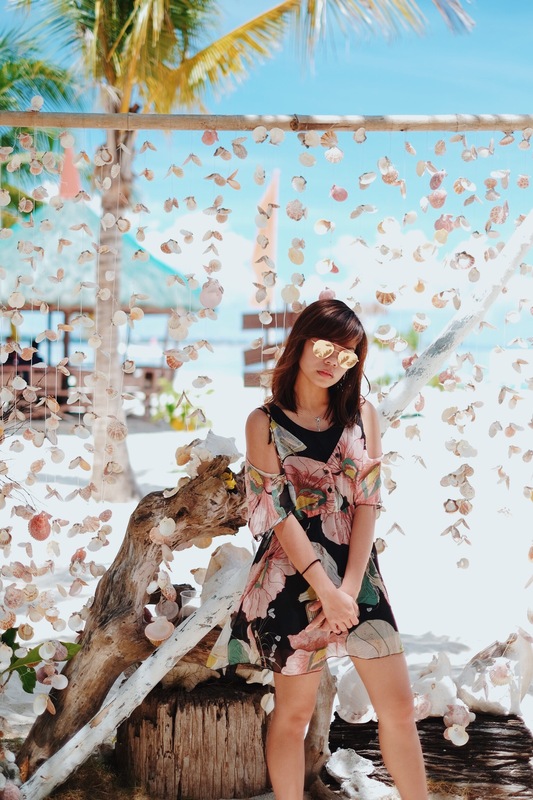 Due to its remoteness for being one of the isolated towns of the northern part of Cebu, Bantayan Island is a little exhausting for some travellers because there is no easy way like having direct flights going there and you have to commute from the city proper taking up to six hours travel. Sure it will all be worth it once you take a glimpse of this picturesque heaven. 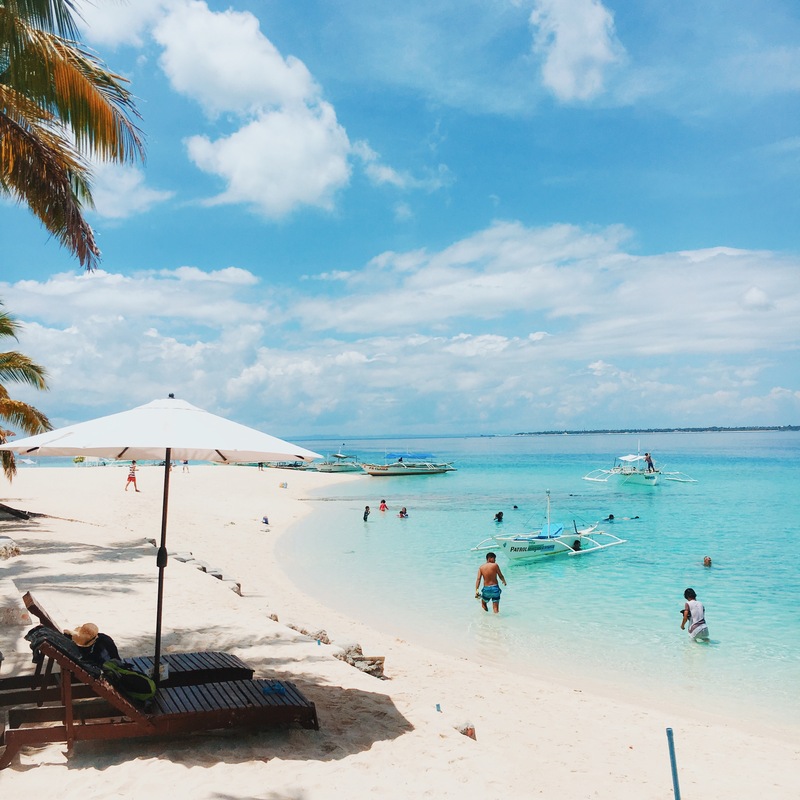 It’s very lucky for me since there are scheduled boat trips directly to Bantayan Island from Cadiz City in Negros so it’s one hell of a shortcut for this paradise with only a three hour travel from my hometown. 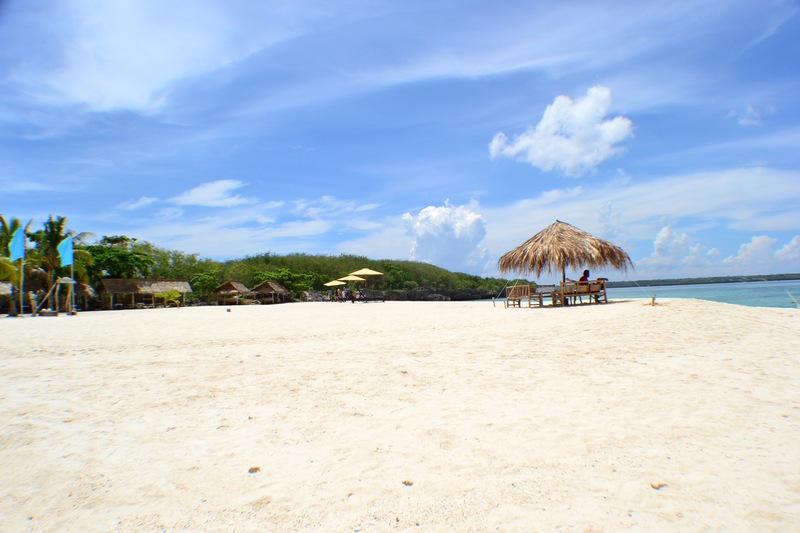 Bantayan Island owns unexplainable white sand with the consistency of that of a flour. 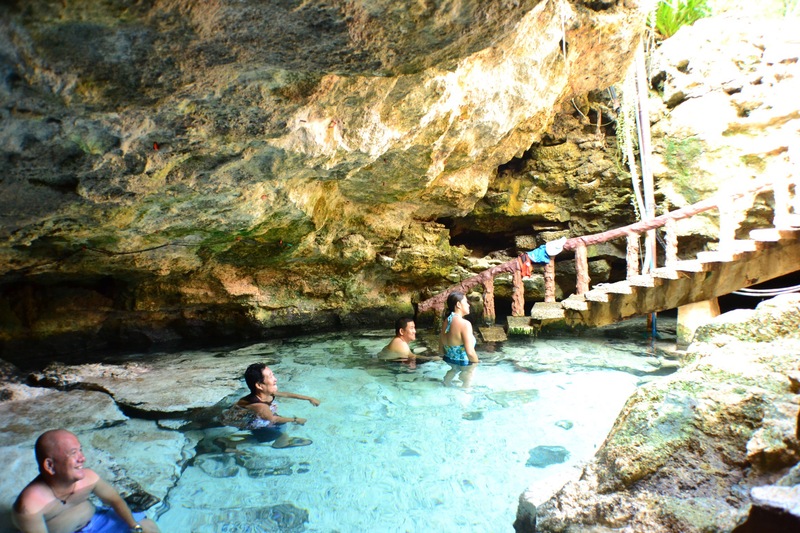 It is rich with aquamarine waters and when it reflects the warming sunlight, the water becomes so luminous that it’s like you’re swimming in the pool with nothing but water and a flat sandy surface. This paradise conveys a sense of serenity and lavish relaxation. Even the world renowned beaches like Kauai Island could not be compared with the pristine waters of this jewel as it has maintained its naturalness and purity. 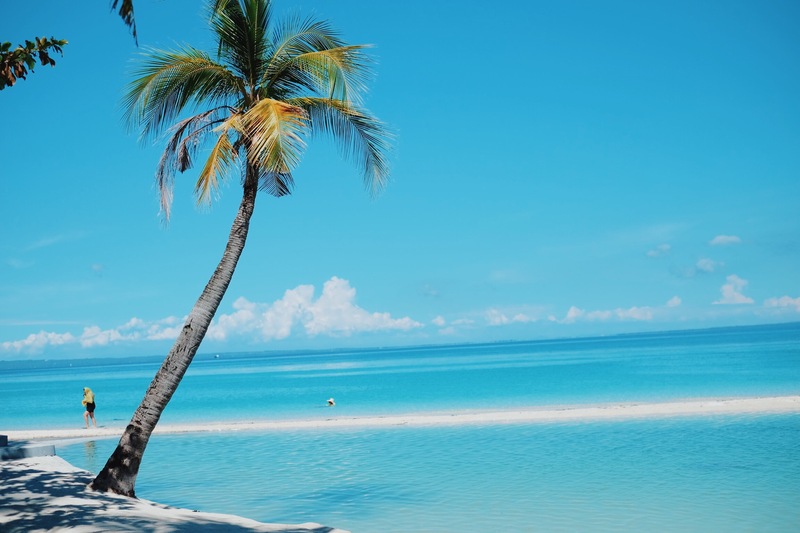 Moreover, there are only a few tourists and resorts lined up at the beach and this has exempted the island from overdevelopment. 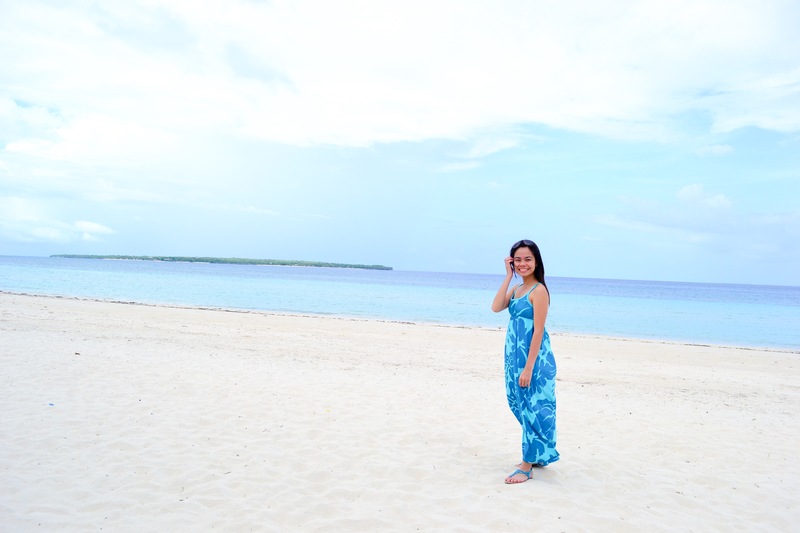 It is undeniable how the beach of Bantayan Island is one of the best I’ve been to. When you just want to get a tan or relax with a drink in your hand at Sta. 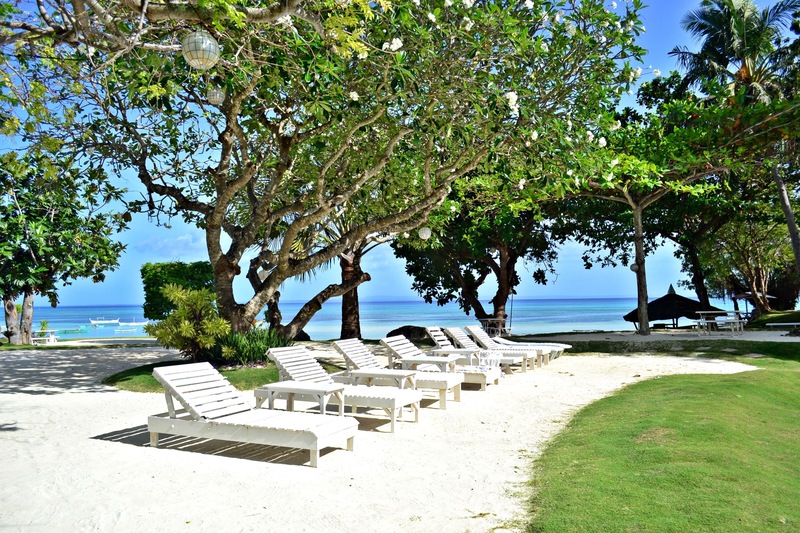 Fe Beach, then it’s the perfect place to laze around and think happy thoughts. 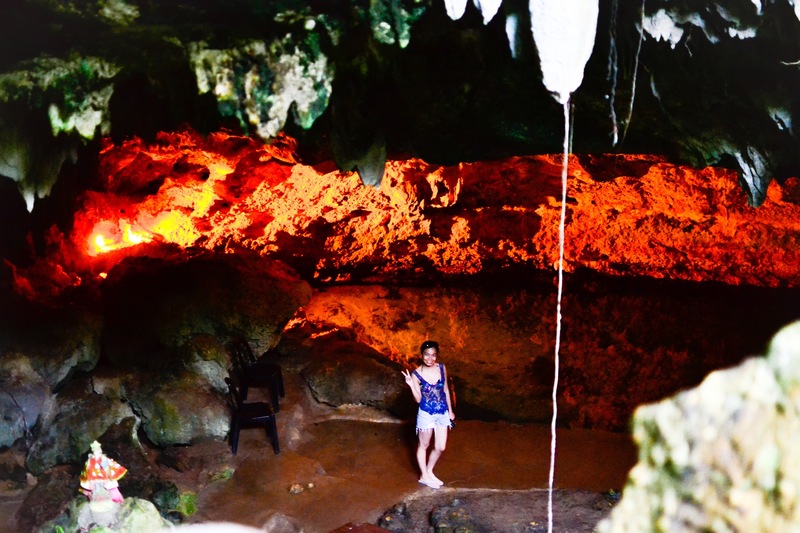 Ogtong Cave can be found in Ogtong Cave Resort. 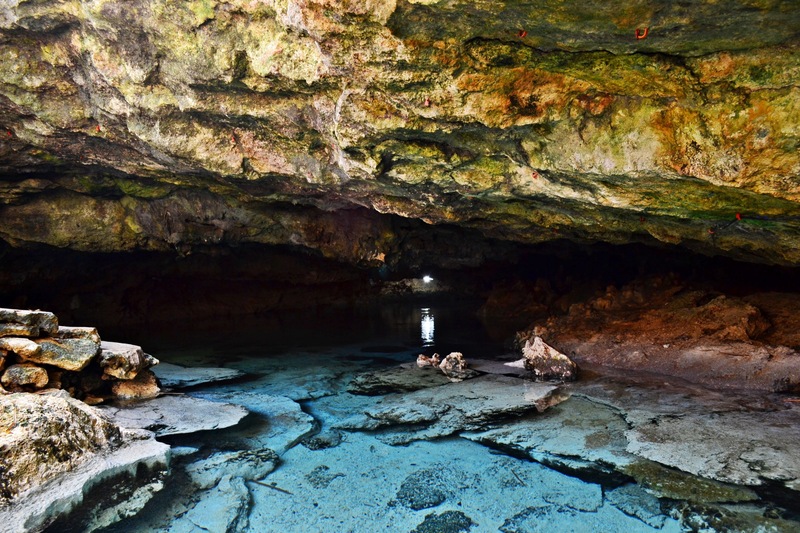 It is a small cave which extends to about fifty meters filled with freshwater. 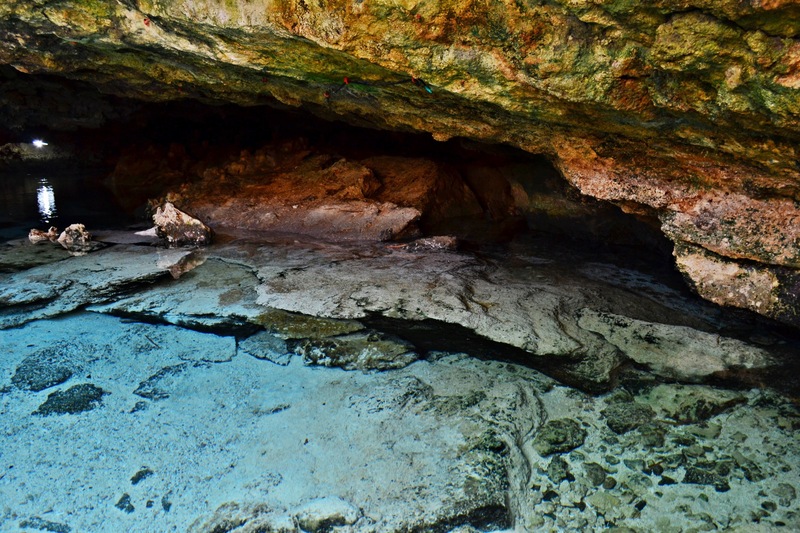 With its crystal clear aqua waters, it is definitely soothing for the intense warmth this summer. 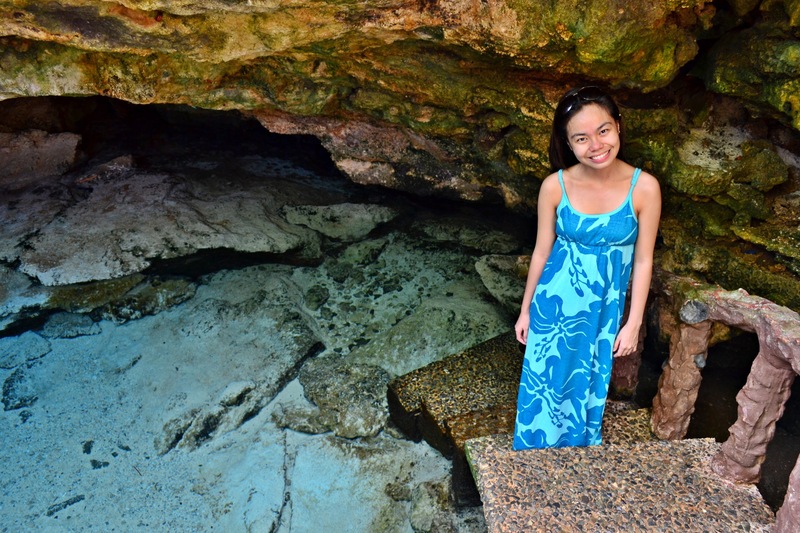 One must be a guest of Ogtong Cave Resort or its sister company, Sta. 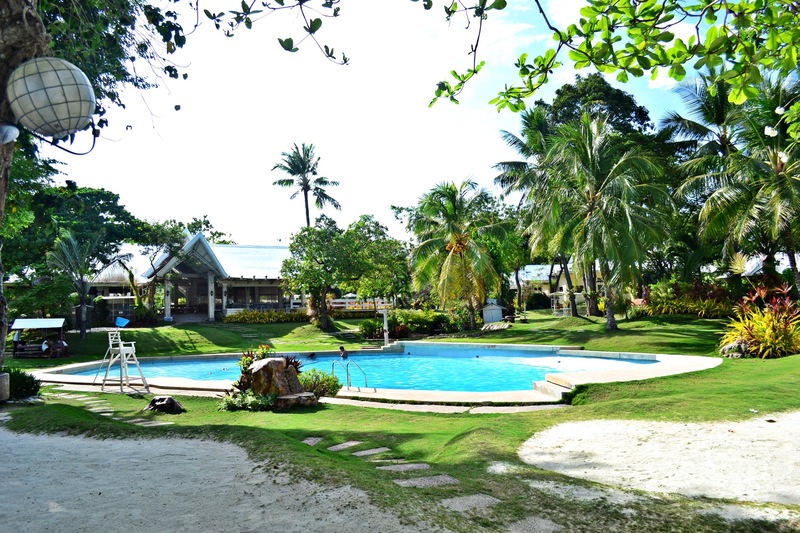 Fe Beach Club to swim in this beautiful wonder of Bantayan. 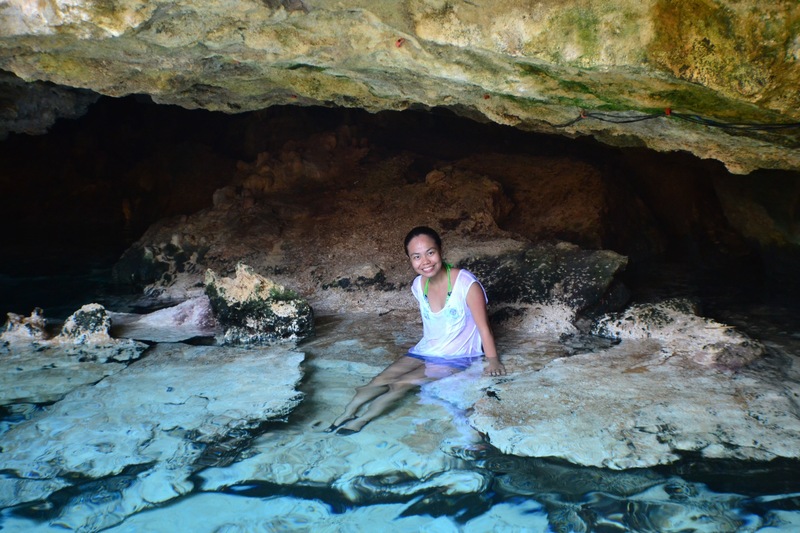 The resort itself is the most luxurious in the island but for a hefty price, it’s definitely worth it once you get to swim in the mystical cave. 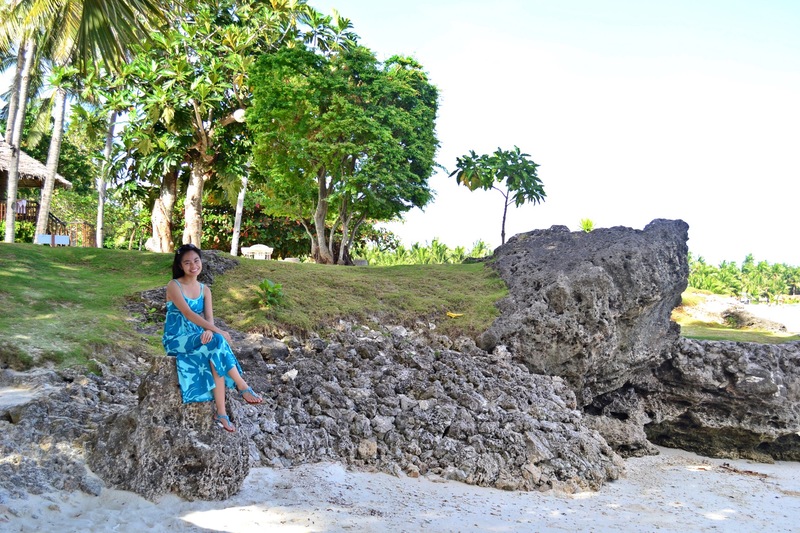 Natural rocks surround the resort and it is lined with white sand and picture worthy scrim. 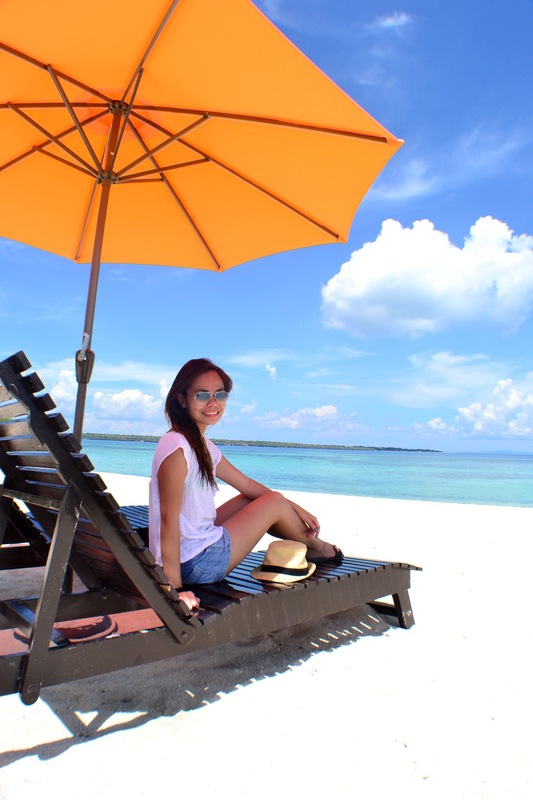 Picture the perfect beach of Bantayan Island. Then imagine a finer and whiter sand and transparent waters that glitter as the sun touches the calming waves of the sea. 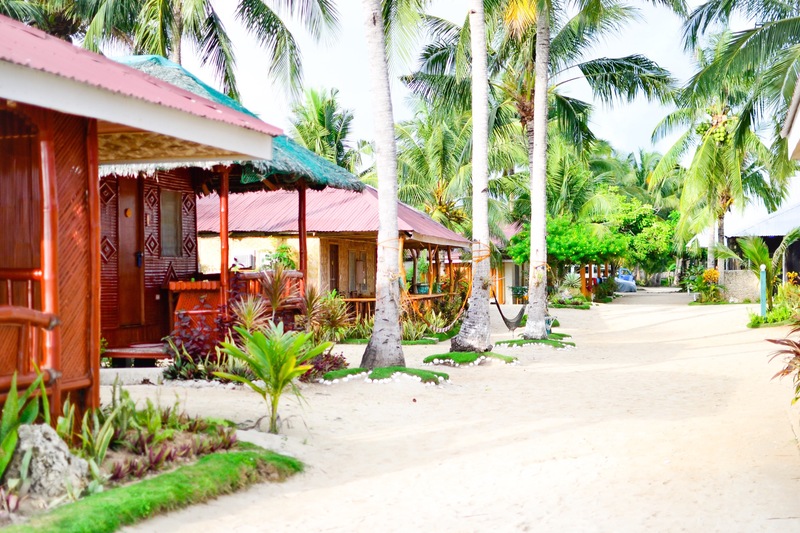 There are nipa huts at the beach front to give you shade and enjoy the alluring landscape. 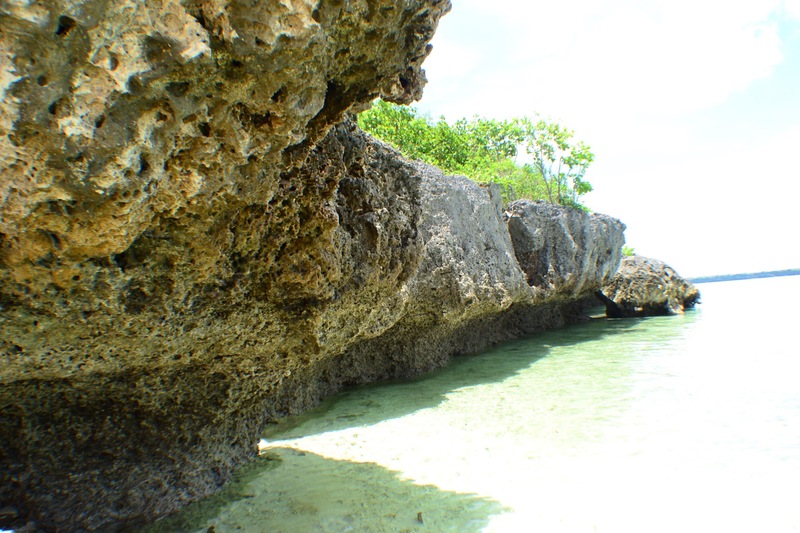 Rocky formations can be found at the end of the white beach that make this terrain a wonderful backdrop for the name of Virgin Island that welcomes the boat upon docking. 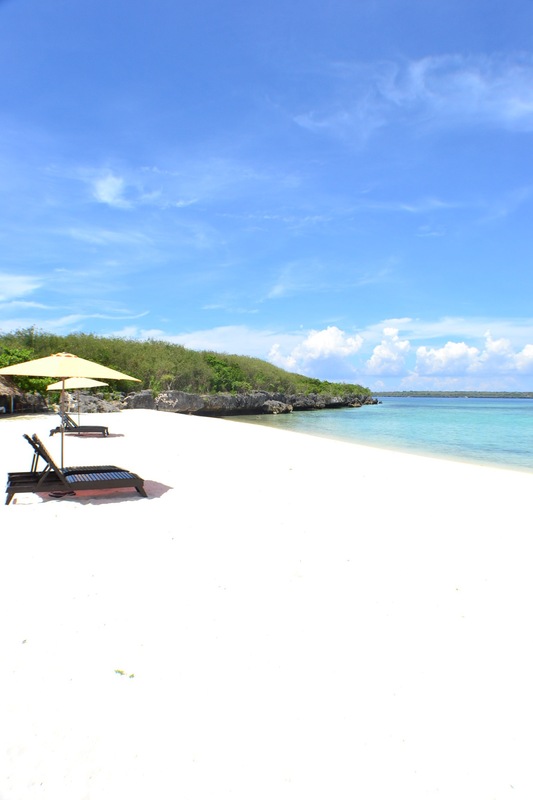 Sumptuous lunch is served on the island at a very worthy price. 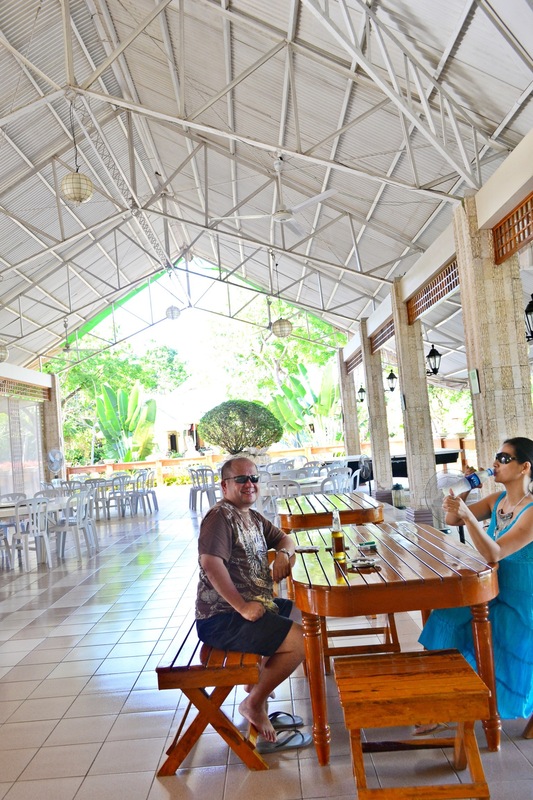 With their seafood fresh and abundant, tourists can definitely enjoy eating there. So much has changed at Virgin Island with my recent visit there. Before, it was all barren and just an island and some huts. Now, tourists flock them and several boats line up on the shore. There are numerous tables and rooms you can spend the night in. Or you can bring a tent to indulge in nature. Irregardless of the development, although I am deeply saddened, it still remains a beauty. 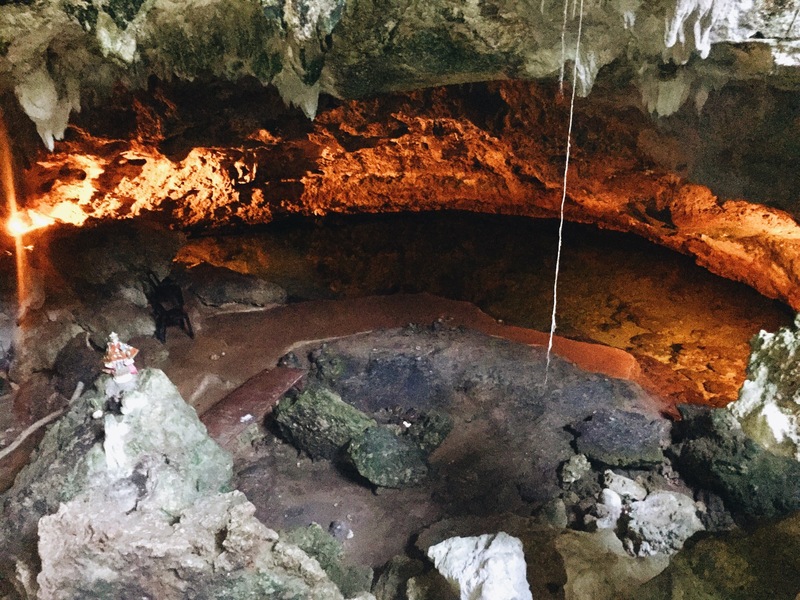 Little do people know that there is another cave at Bantayan Island worth seeing. 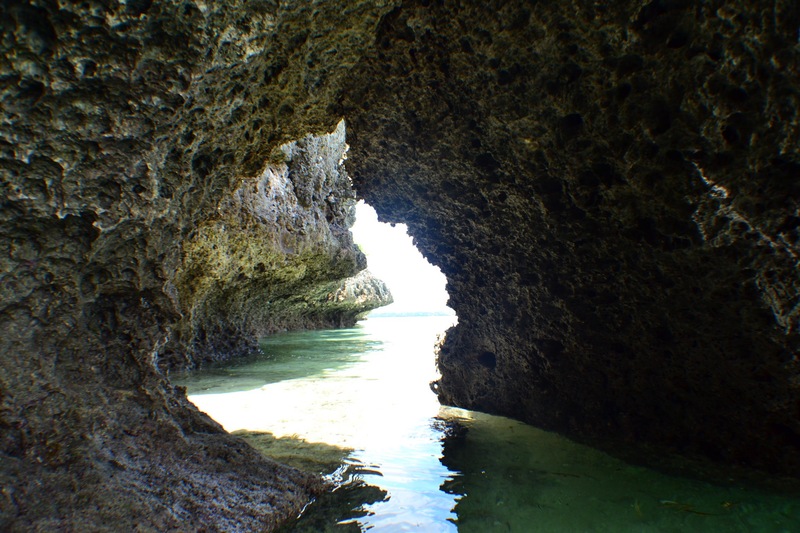 When I saw a picture of the cave from a friend, I found a way to revisit this gorgeous island to check this out for myself. 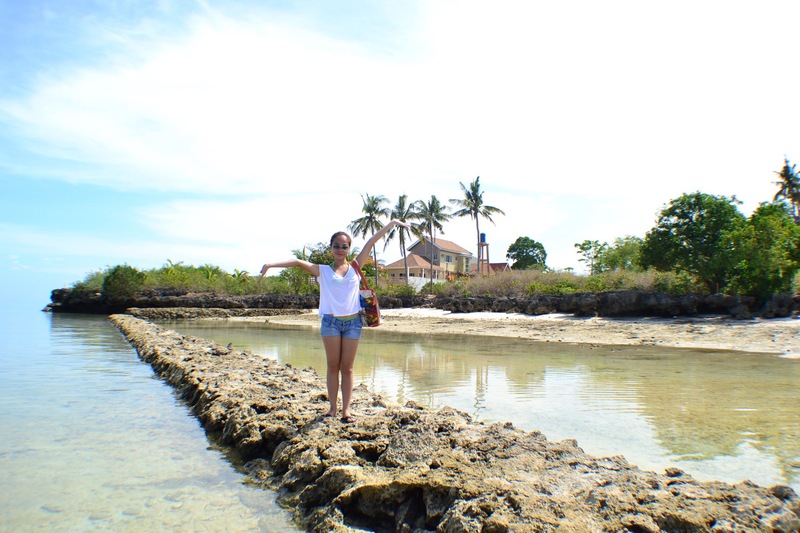 Found at Bantayan Island Nature Park and Resort, Sto. 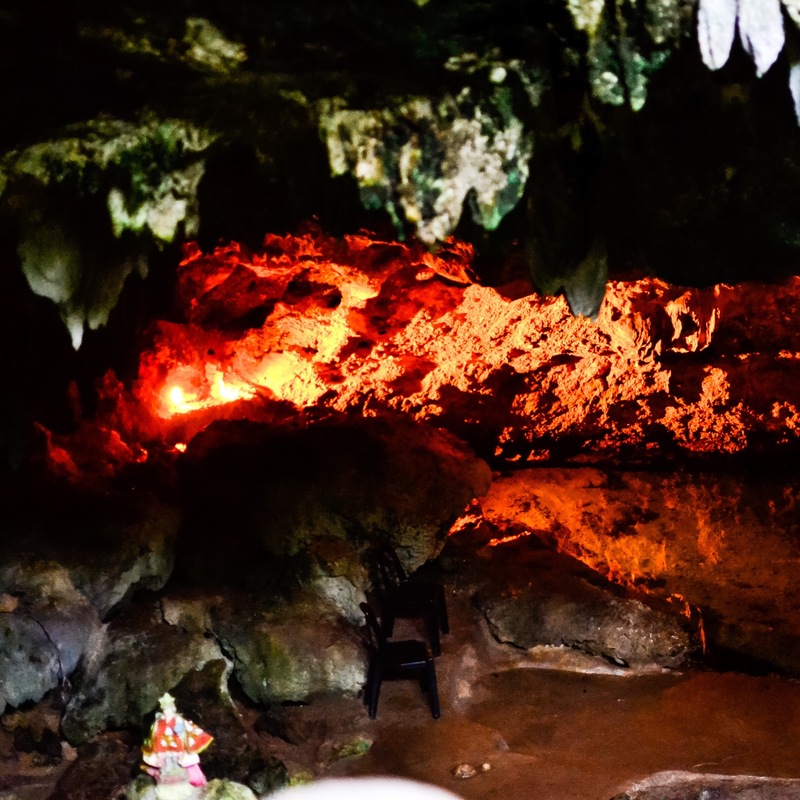 Nino Cave is named as that since a statue of the beloved Sto. Nino was spotted inside upon its discovery. 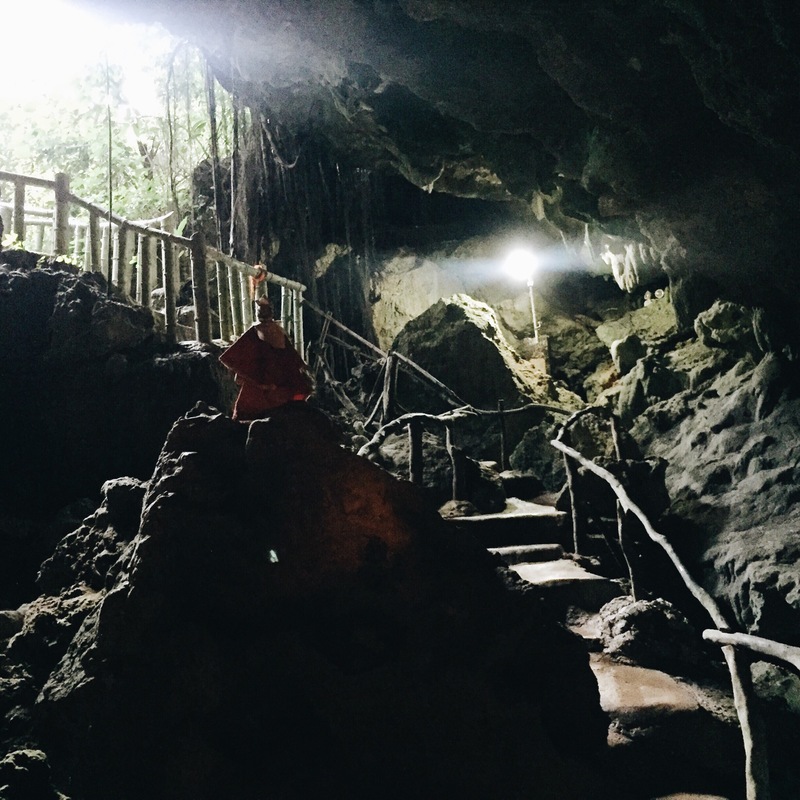 It is a larger cave compared to Ogtong Cave. 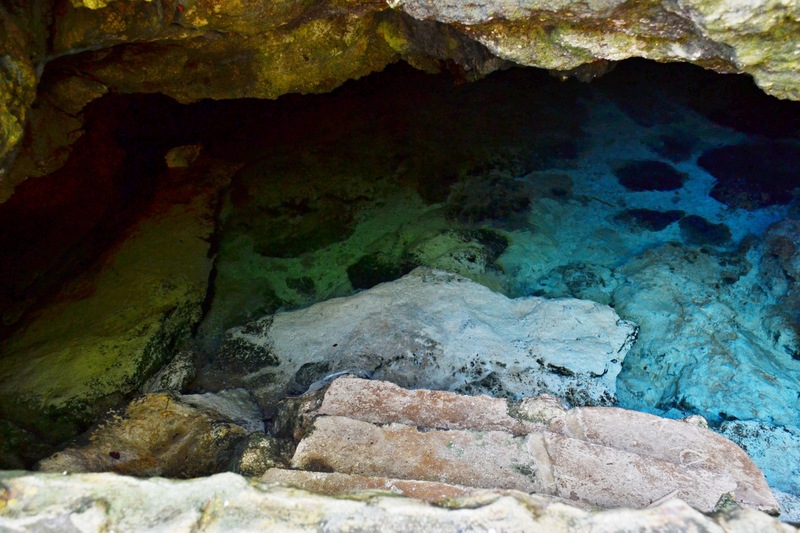 Similarly, it is filled with freshwater that one can lavishly swim in. 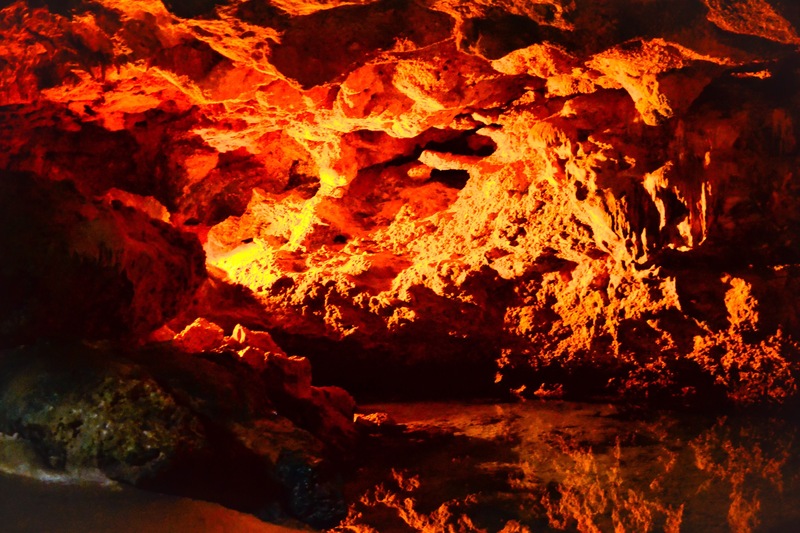 With its gorgeous lighting, it gives the impression of yellow to orange luminescence that one can stare in awe. 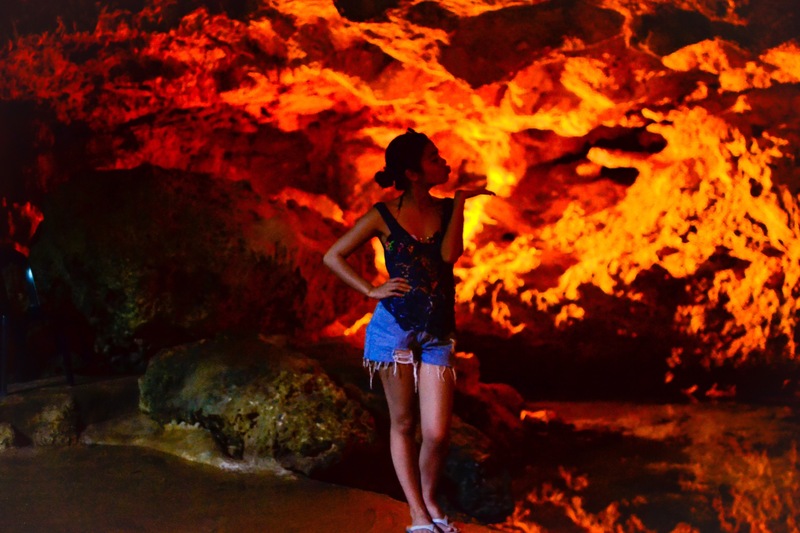 If you choose a day tour in this resort, the cave is open until ten in the evening. 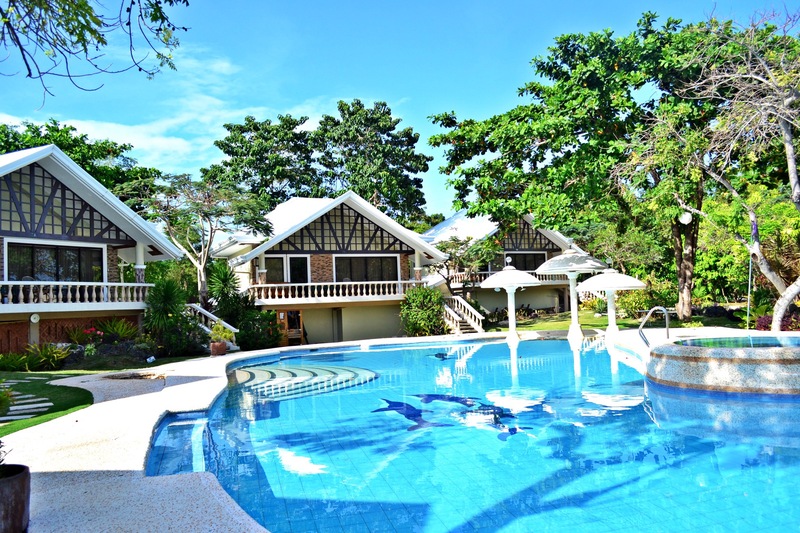 Moreover, the resort offers an overnight stay, fish spa, swimming pool, mini zoo and garden. You will never get bored. 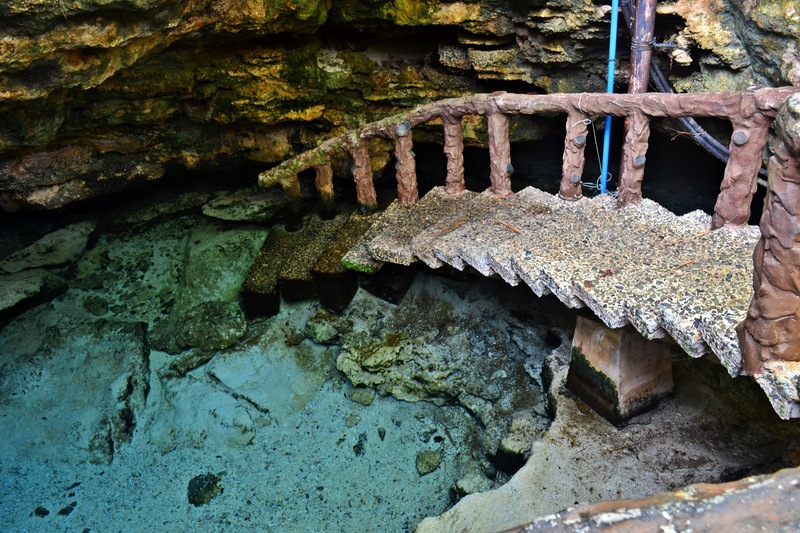 Just a 40 minute drive from Sta. Fe Beach, there is definitely no hustle. 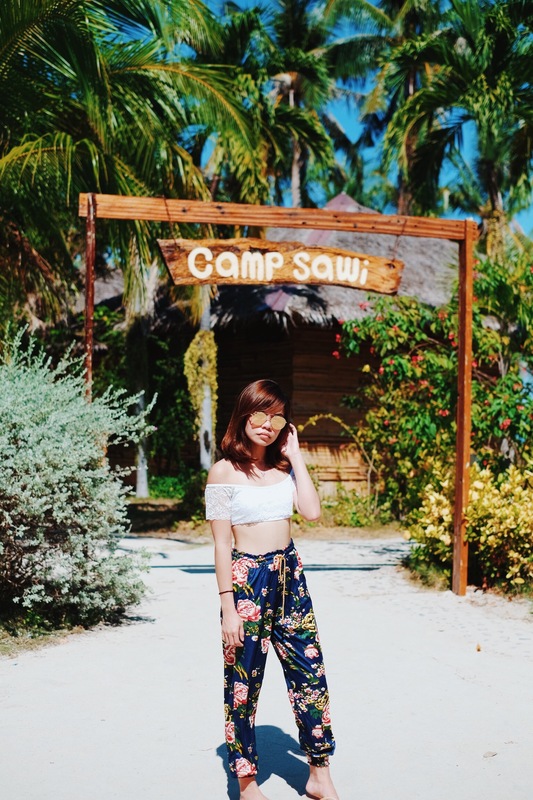 Have you watched the famous movie Camp Sawi? Well, they shot almost all of their scenes here in this resort. After having seen the most exquisite beach and unpolluted water, I don’t wonder why the producers picked this as a prime location. 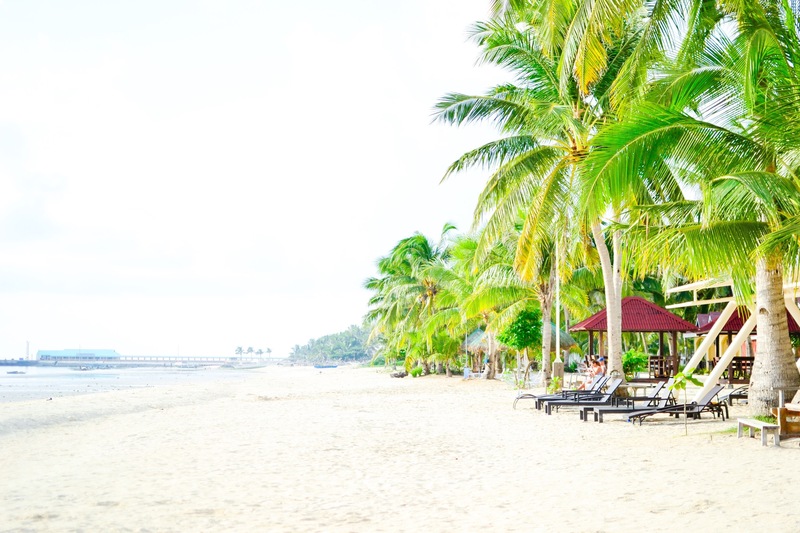 With two beautiful sandbars within your reach at the beachfront, you are definitely in for some natural rehabilitation. 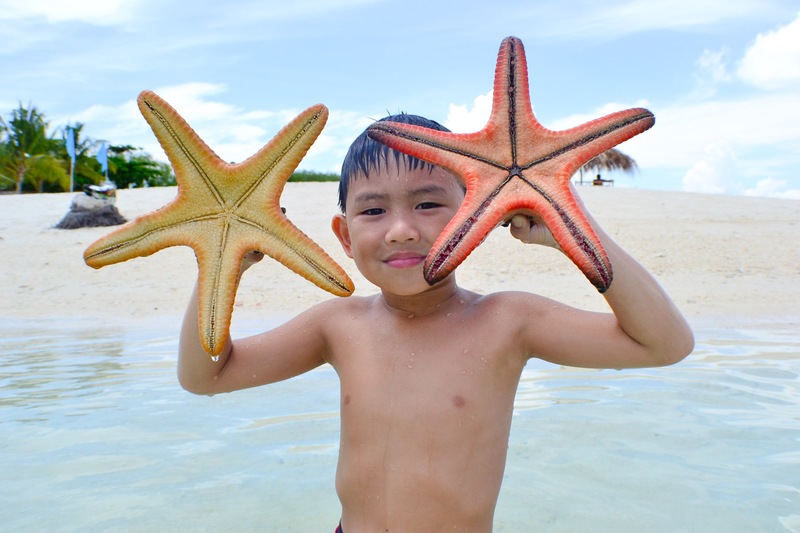 If you’re not planning to check in, you can pay 50 pesos as entrance fee just to see and swim on the beach. How much yung Sa cave? 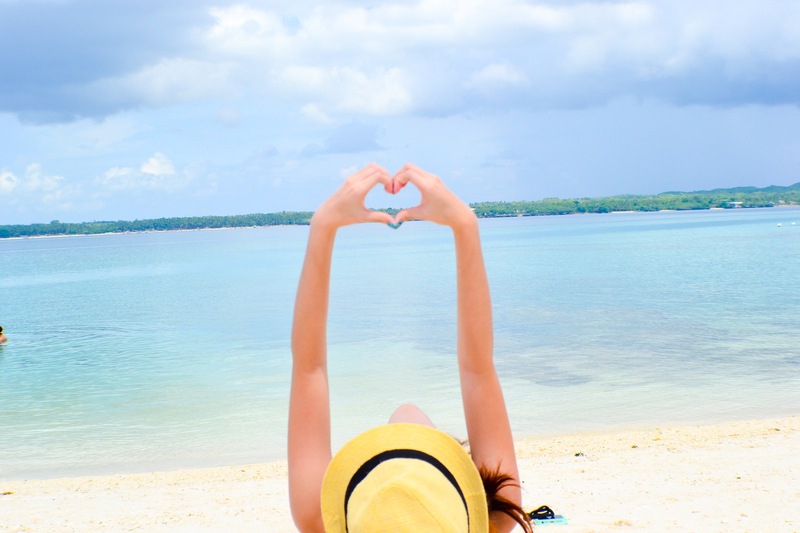 At yung island hopping ano po kasama sa package? hi! 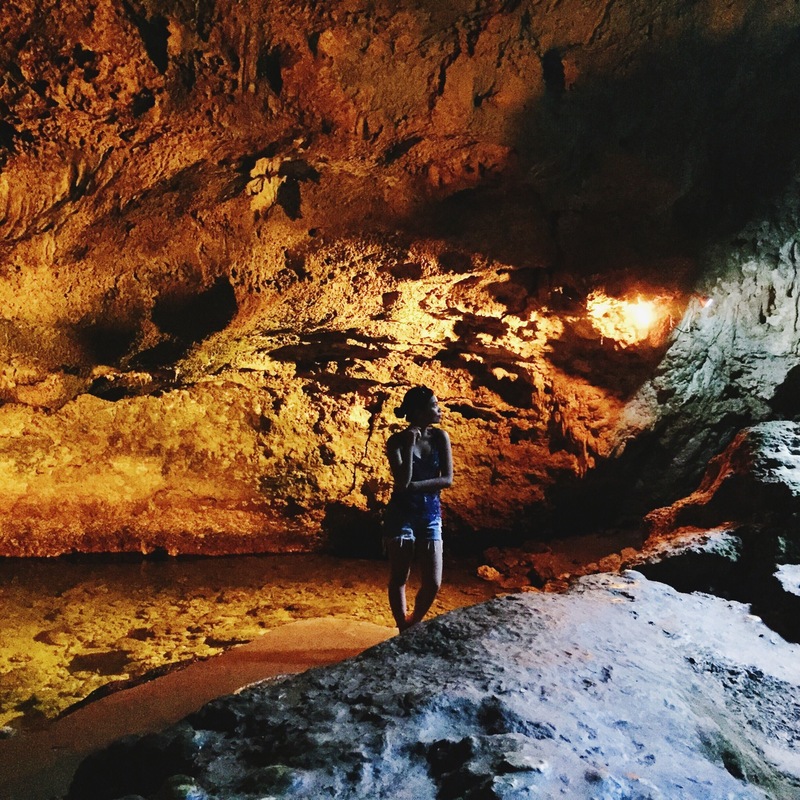 the cave is for free and only exclusive for swimming sa mga guests ng Ogtong Cave Resort at Sta. Fe Beach Club since they have the same owner. 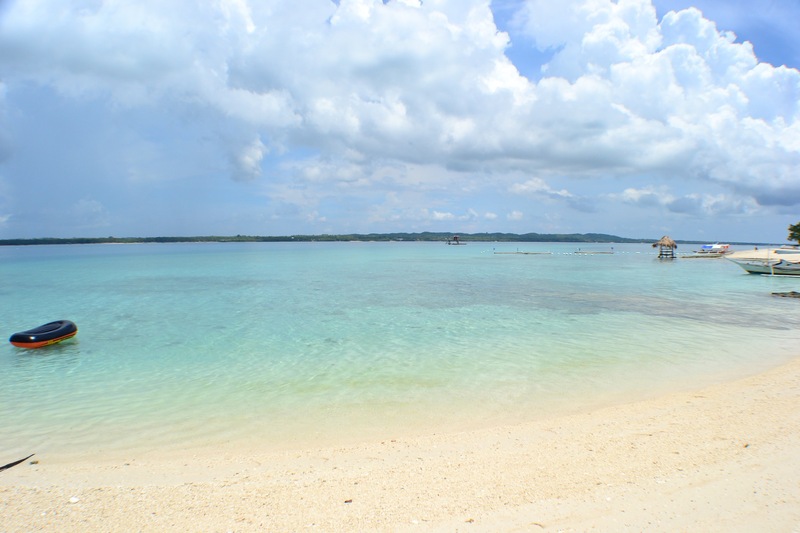 The island hopping fee is composed of Virgin Island and Ogtong Beach. 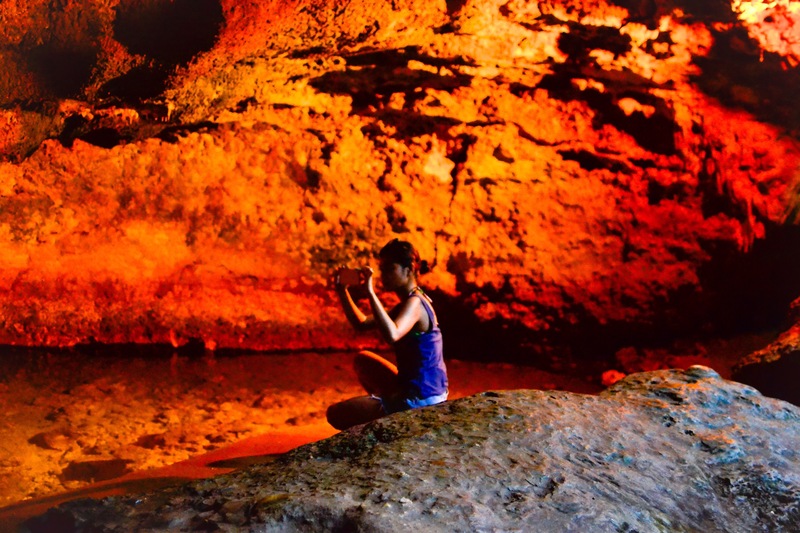 If you are neither a guest of the two resorts, you can visit the place but you can’t swim in the cave. 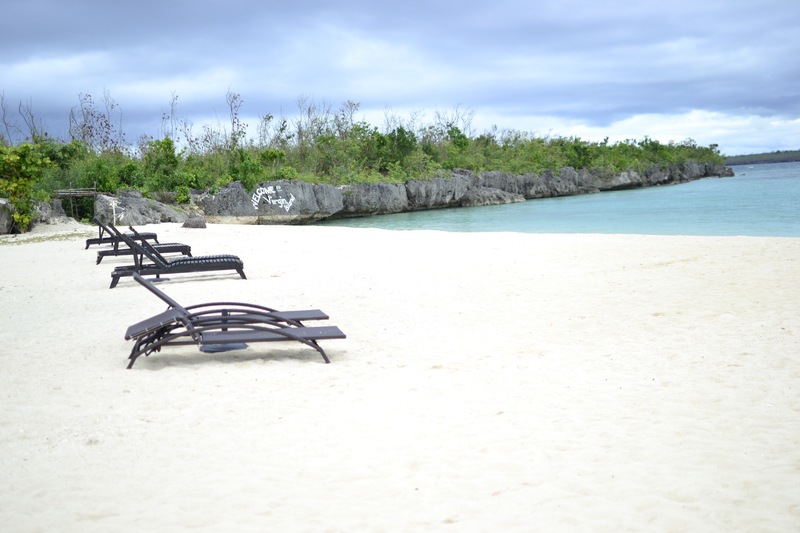 You can also go there by land since there is a shuttle between the two resorts of Sta. 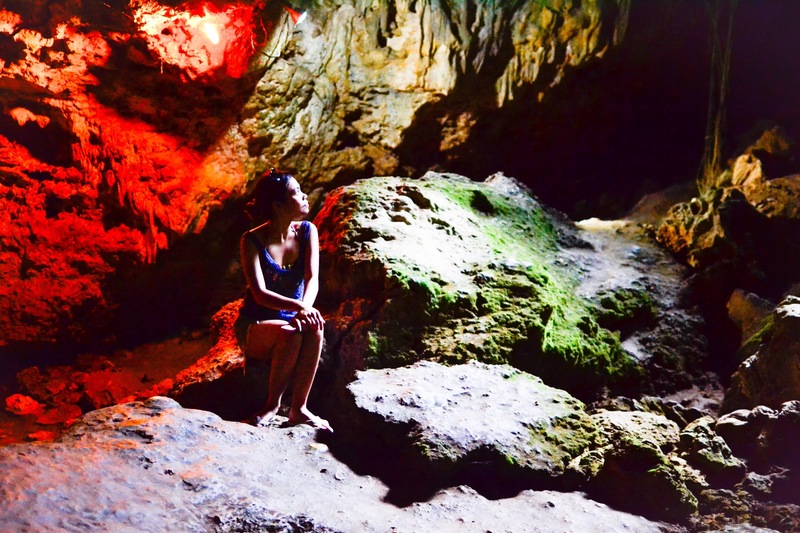 Fe and Ogtong Cave. 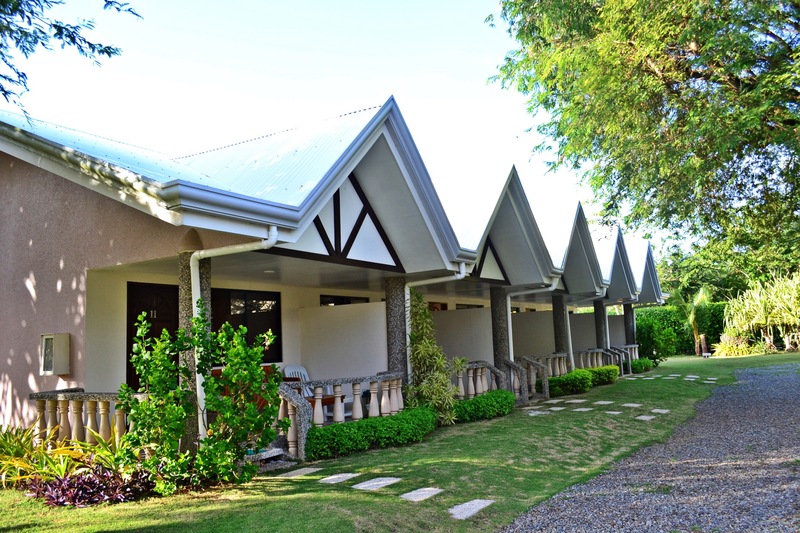 Naka book na kami sa Anika resort. 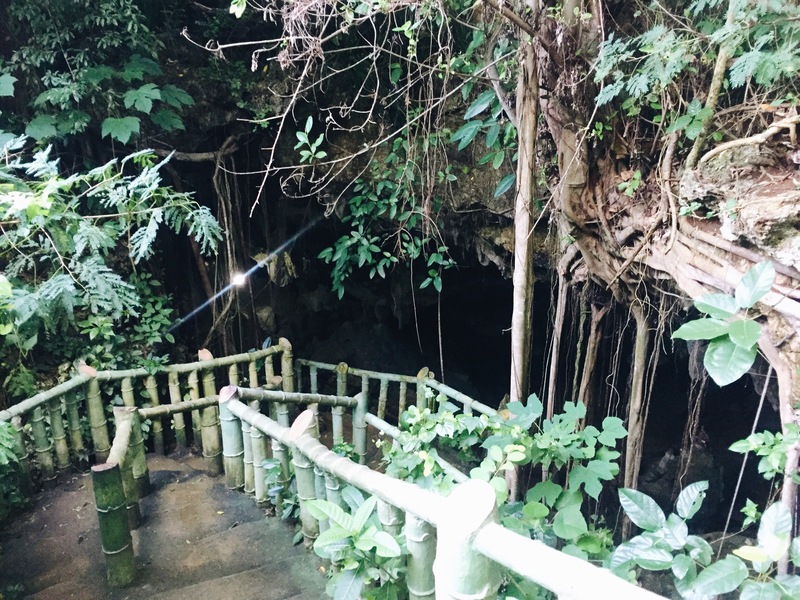 Gusto namen sana makapunta dun sa cave..
hi! if you check in with Sta. 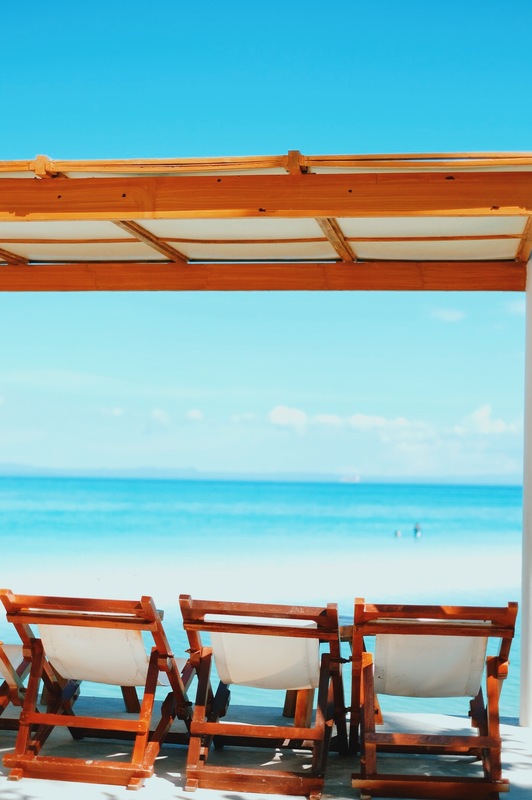 Fe Beach Club, their cheapest is 900 per room per night good for 2 pax 🙂 but you can contact them in case they have already changed their rates. Hi, I’d like to know what time does the ferry from bantayan to cadiz leave? 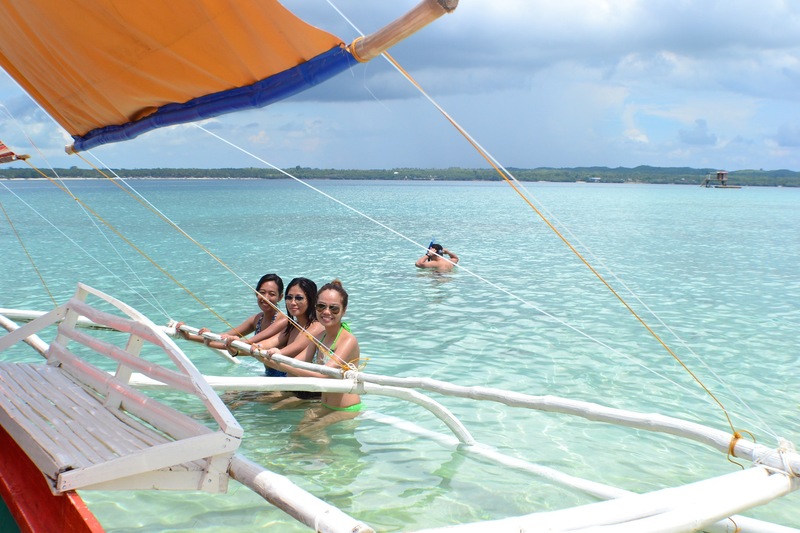 And is it true that we should ride a ferry at the bantayan town pier when going back to negros and not from the Sta. Fe port? yes. every 9 am one trip daily. 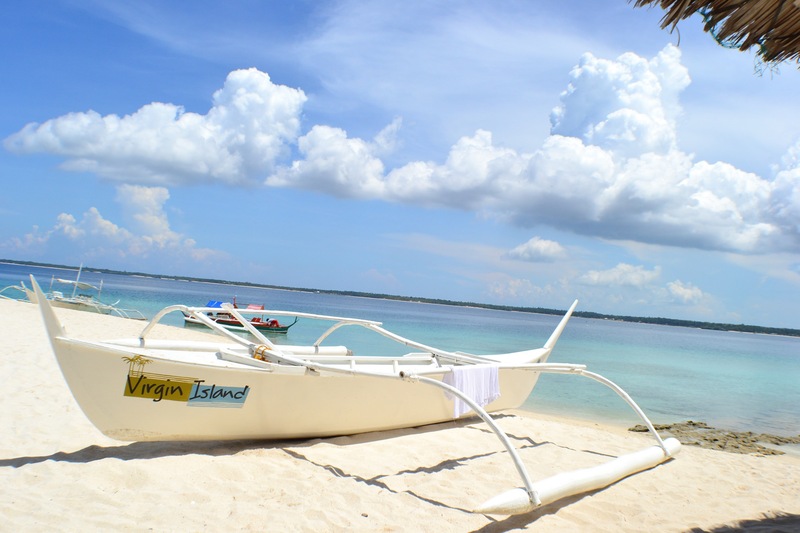 the boat from Bantayan to Negros departs at Bantayan Port not Sta. Fe port. Hi, just to confirm, do we need to go to the bantayan town pier to ride a ferry in going back to negros? Also, does the ferry leave at 9am from bantayan to cadiz? Thank you! Naconfirm nyo na po above na 1 trip (9am)per day pero meron mga blogs akong nabasa na certain days lng yung boat trip from Cadiz? From Cadiz po ba kayo, can you please reconfirm if boat trip is still daily? Salamat ng marami. 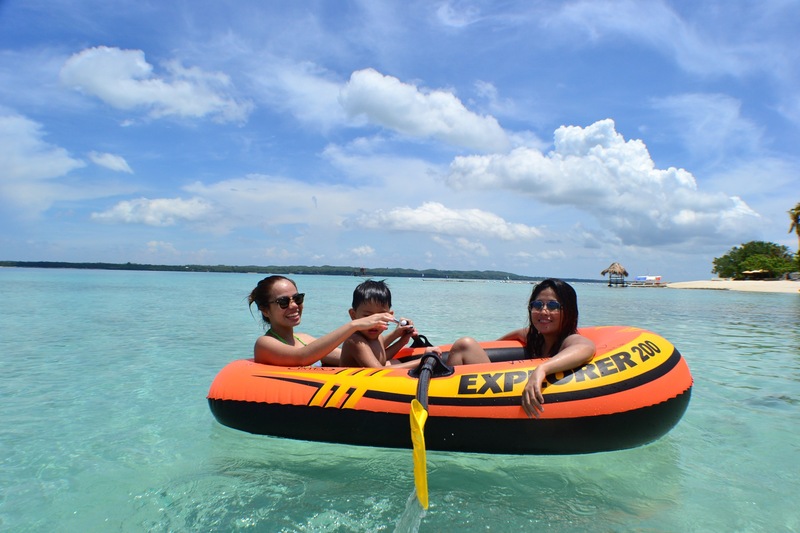 if there are no available trips, it’s usually because of the weather but you always have the option to rent a private boat with almost the same price depending on the number of people sharing. Looks like a great place. 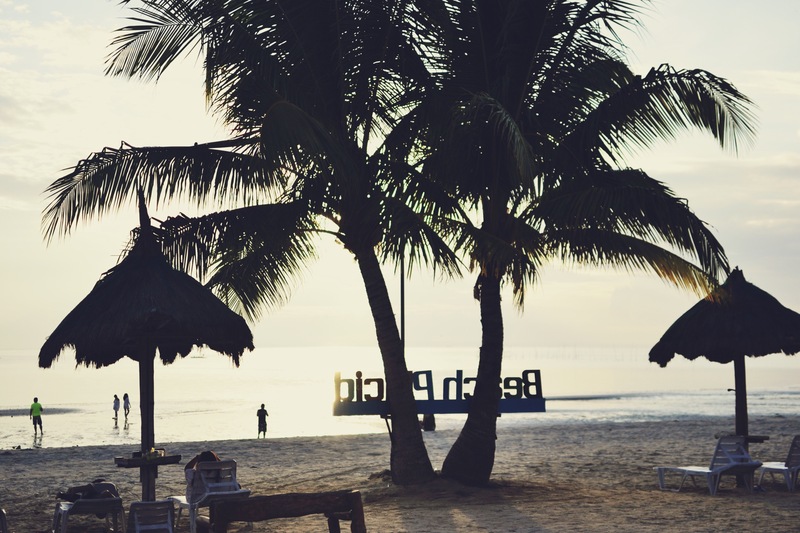 Too bad it’s such a rip off, 700 pesos for two people to enter an uninhabited island? 1000 pesos to go back and forth on a one hour trip on a ferry? 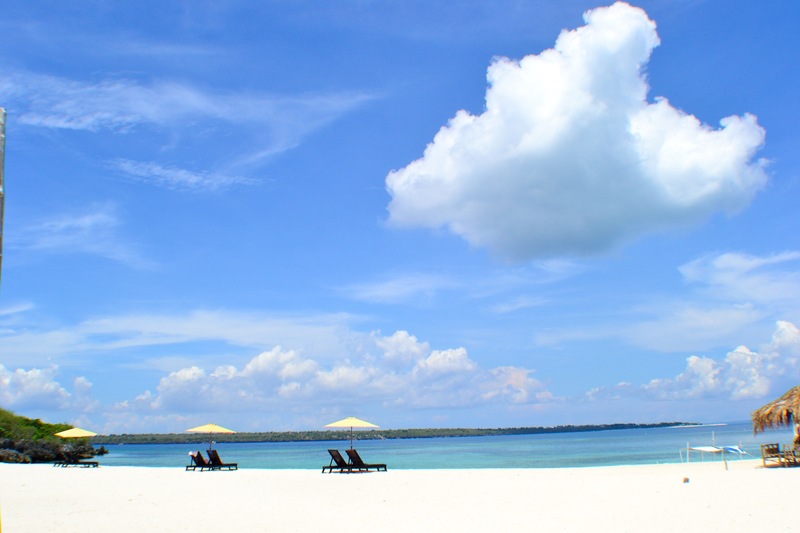 I think I’ll be skipping Bantayan. I wonder who’s building a castle from all this money. Nice pictures ma’am! 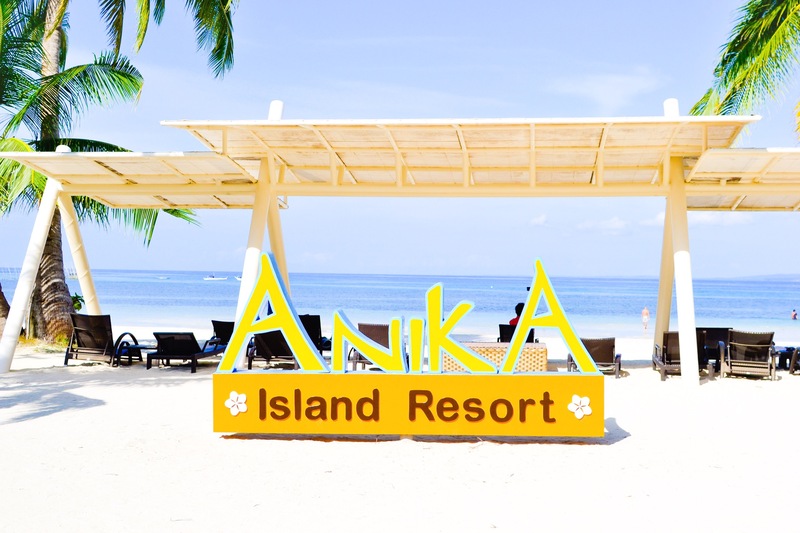 ask ko lang po kung alin sa mga resorts sa sta.fe ang pinaka ok esp. 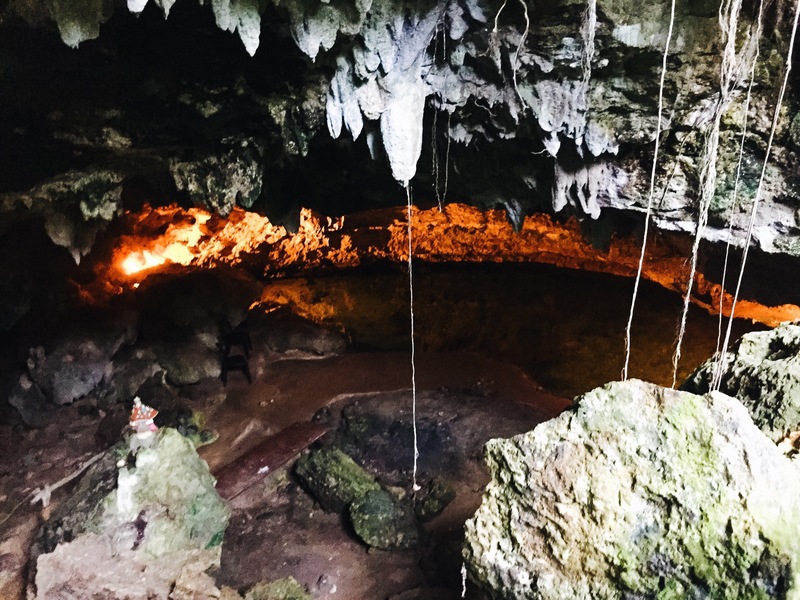 sa view(cave, shore)? lalo na sa pag bbeach bum? 🙂 thank you po! 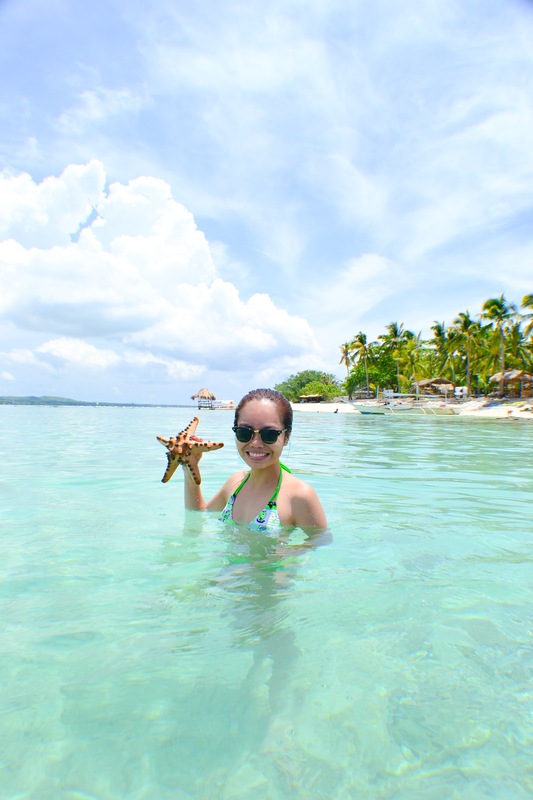 Bantayan Island is such a wonderful place to visit. 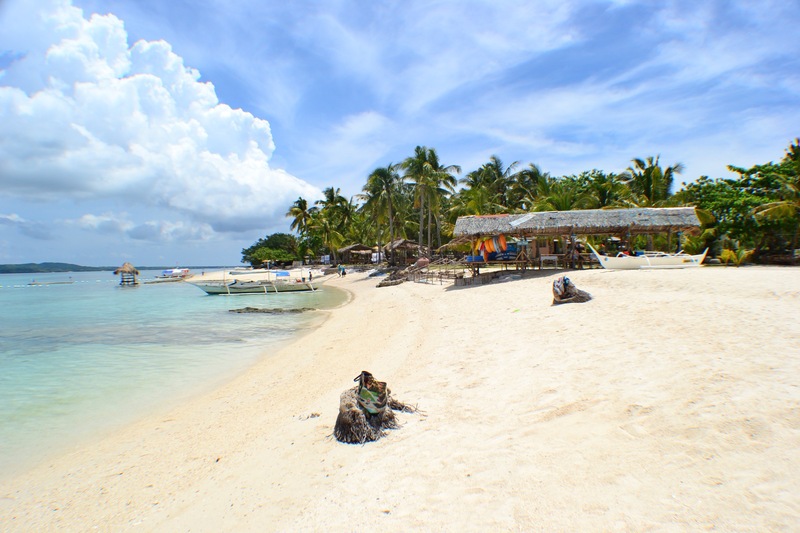 Other islands too in Cebu are so beautiful. 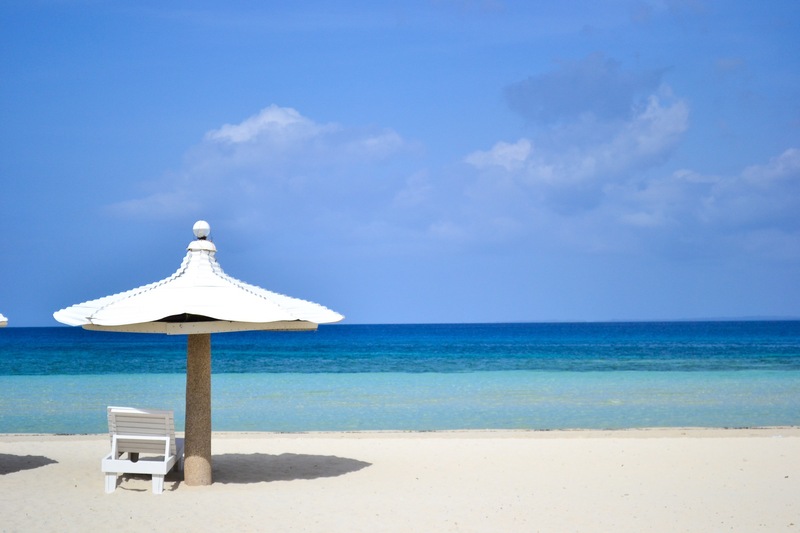 White sand, crystal blue water, fresh air, serene place… What’s even good in Cebu is the people. They’re so nice and approachable. I could never forget when I first visited this city and I rented a motorcycle at book2wheel.com . I met the owner and their staff, and they’re all smiling and hospitable. Hi! Why is it 1000 for the ferry fare? The last time went there it only cost me 250. Did the price went up? Hi! I’m using Fujifilm xt2 and GoPro Hero 5 🙂 Thank you. Hi, I just want to ask the fare from cadiz to sta fe port. Thanks in advance. Hello! Is there an option to leave a private car overnight at the cadiz port? If so, how much do they usually charge per night? Thanks.